I remember seeing these in a tall glass jar atop a NYC bakeries counter. Each square was $3 or $4 dollars. Wait are those Saltine crackers? I could make those and so it goes for years now. Salty, chewy, chocolate yum! To create less of a mess and easily get these off the baking sheet I highly recommend a Silpat or other silicone baking mat for these sticky treats. 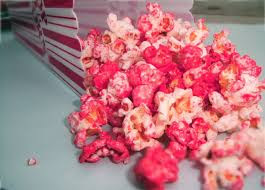 Set your oven to 400 °F.In a small sauce pan combine your butter with your brown sugar and bring to a boil over high heat stirring to help dissolve sugar. As soon as it comes to a boil turn heat to low and allow to cook without stirring for 3 minutes. 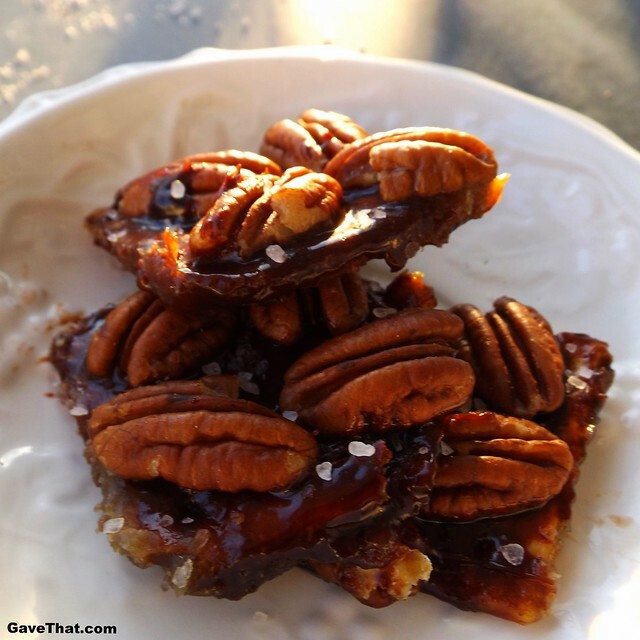 In a small 9 x 9 baking dish coat the bottom well with butter and lay saltine crackers in a single layer.Pour caramel sauce evenly over saltine cracker layer and bake for 7 minutes.Remove from over and allow to cool slightly. 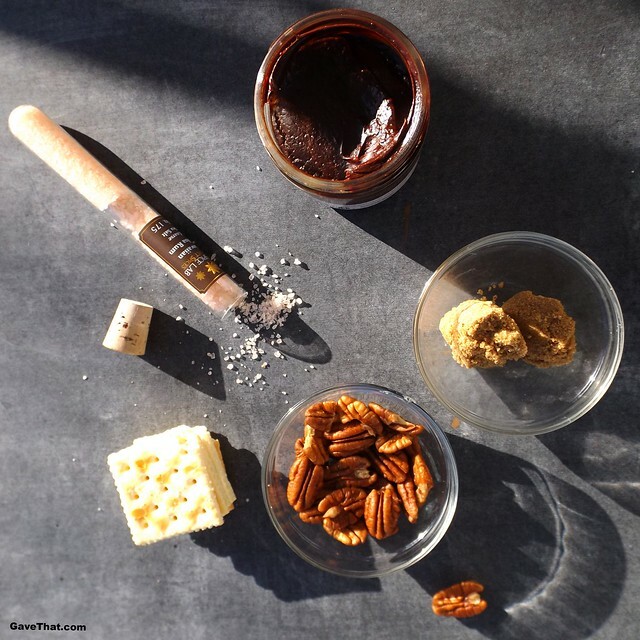 Cut up dark chocolate squares with a knife and sprinkle over caramel soaked cracker layer or spread chocolate sauce over top if using instead. 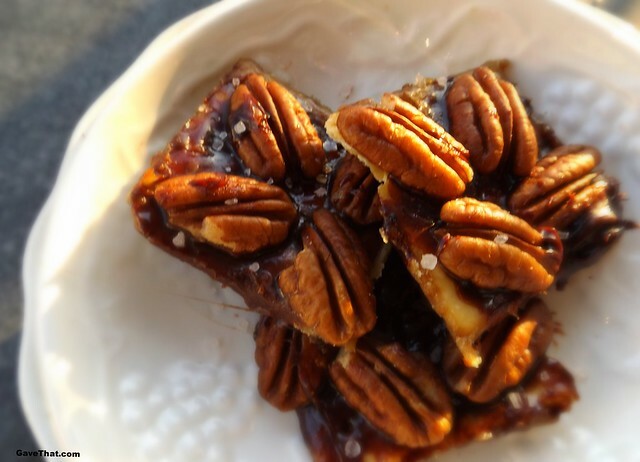 The heat remaining in the baking dish will melt the chocolate creating a thin layer.Press pecans into the melted chocolate and pop into the fridge to completely cool. Finish off by sprinkling coarse sea salt on top. That's it! 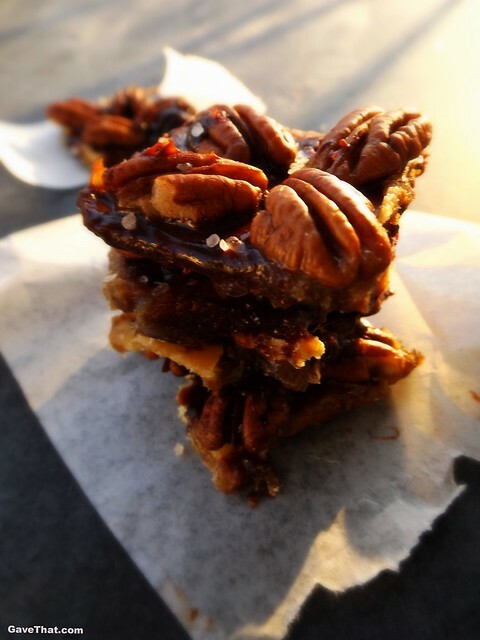 You're made a thin rich chocolate square with the crunch of a toffee and the salty smoky sweetness of caramel. Even those without a serious sweet tooth (how I envy them!) have a hard time resisting these. Happy Valentines Day! 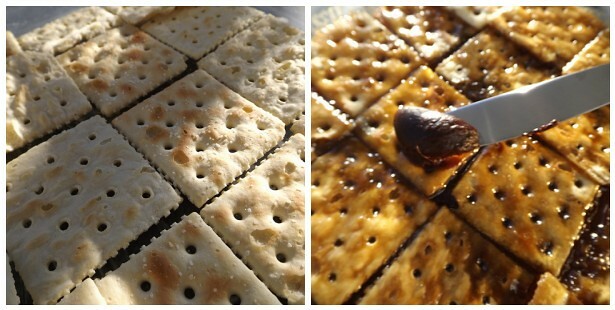 Laying the base layer of crackers, baking in the caramel, spreading chocolate sauce on hot cracker squares just out of the oven.